Google announced that it's implementing a new weapon in the fight against internet piracy, as it will start downranking known piracy sites in search results. Starting next week, Google will update its search algorithm to take into account the number of valid copyright removal notices that a site receives. Sites that receive more removal notices will subsequently get pushed down in search result rankings, which should in turn push legitimate sites higher. While the system could be abused by larger corporations to drop a web site's search ranking, Google says it also employs counter-notice tools for sites to contest a wrongful removal request. Subtle, but is it effective? Google says it's not out to shut down any sites, but it does hope to help promote legitimate legal content. "Only copyright holders know if something is authorized, and only courts can decide if a copyright has been infringed; Google cannot determine whether a particular webpage does or does not violate copyright law," Google said in their corporate blog. 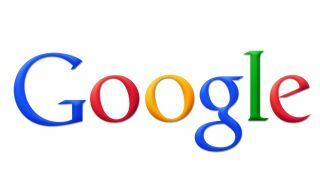 In the last month alone, Google says it received more than 4.3 million URL removal requests from copyright owners. While the current system allows Google to remove those individual URLs, the new measure will also make the sights hosting those URLs appear lower in search results. Back in May Google launched a transparency initiative that shares the company's copyright removal data. The sites with the most copyright infringements in the last month, and are most likely to drop in search rank next week, include filestube.com, downloads.nl, isohunt.com, and torrenthound.com. It's a more subtle approach to fighting piracy, though it remains to be seen whether it will actually limit piracy or simply spread illegal download traffic to a wider variety of sites.